The Liberals have designed a government system that is so tight; they can carry out all their foreign socialist policies in secret away from the public view. Canadians are not even allowed to see the empty seats in parliament in case they might realize that more than half the MPs are missing -- could be visiting other socialists in exotic tropical lands. Therefore Canadians are not only kept in the dark while parliament is not sitting but every day right on TV while parliament is sitting. Not only that, but Canadians are not allowed to check on the itinerary of their globe trotting MPs or their prime minister even from years past. Therefore Canadian MPs and federal bureaucrats travel the world constantly and no Canadian is allowed to know who is where or representing them or forking out their taxpayers' money in far off regions of the world. Canadians are kept in the dark about the prime ministers office, the CBC, CIDA, and HRDC where $billions of Canadian dollars are spent, wasted and lost. The relationship between the Liberals and the special-interest groups, the lobby groups, feminist groups and the immigration industry is completely obscured hidden from the media. As a result Canadians are at the mercy of the Liberal spin doctors and know very little about what the socialist Liberals in Ottawa are really doing. But still the Liberals are not pleased. They want to improve, expand and reform the Access to Information Act -- for themselves -- not for their fellow Canadians. The spin-doctors will call these changes an improvement. Everyone will be pleased while the secretive claws of dictatorship tighten on Canadians. The recently formed Liberal task group to amend the Access to Information Act will make their recommendations next fall. They will want to exempt other government agencies from the Access to Information Act and increase government secrecy. Complacent Canadians must be kept from asking pointed questions about the $600 billion national debt, the 63-cent dollar, HRDC or Shawinigan. Canadians can't ask questions if they don't know what to ask. The Liberals want to cover their tracks. They want to operate their government in complete isolation, away from the prying eyes. This group that brazened their way through the HRDC scandal in 2000 and the Shawinigan affair in 2001 could teach Stalin a trick or two about government secrets. In the upcoming fall session of parliament the Liberal discipline machine will kick in and they will vote on the changes to the Access to Information Act in Parliament and it will become law. Jack Reid, the Information Commissioner, warned about even more government secrecy. Last year, 1,680 complaints were received by Mr. Reids office from concerned Canadians about delays and obstruction to gaining information from their secretive government. Canadians unfortunately have still more lessons to learn from the Liberals they elected last November 2000. The first one was that 20% pay raise the Liberals gave themselves just before parliament closed down for the summer and the next lesson will be the expanded secrecy through amendments to the Access to Information Act so that the Liberals can hide their tracks again. There are other lessons coming down the pipe. The Liberals are having a heyday and the opposition is in tatters. And with the expanded and amended Access to Information Act, they may do anything they want and no one will know about conspiracies, secret appointments (Supreme Court, Senate) or taxpayers paid- for places in Shawinigan. It is called government on autopilot. No one knows where we are going. How we will get to where we are going is a complete mystery, known only to the Liberal at the control button. Don't ask. Ann McLellan, Minister of Justice, who is presently working on improvements to the Access to Information Act from a Liberal socialist, hide your tracks, point of view. The Access to Information Act came into force in 1983, twenty years after the US adopted its Freedom of Information Act. The idea behind the Act was to allow Canadians access to their government. Unfortunately those who wrote the Act saw fit to exempt large sections of government so that the public would still be denied access to information. In this way the politicians could boast about their Access to Information Act and the bureaucrats could carry on with impunity behind the scenes, hidden by the exempt clauses of the Act. There are eight pages of bureaucracies and circumstances where the public is still denied access to information. Indeed there are more places where Canadians are denied access to their government than allowed access. The Act should have been called, the Secretive Government Act but in the double speak of these politically correct times, they called it the Access to Information Act. The Act is meaningless. It encourages a culture of government secrecy that threatens our democracy. Listed in the 8 pages of still-secret places are crown corporations such as the CBC, CIDA, HRDC, the in-house travel agency for politicians and bureaucrats who travel the world and their cabinet documents. These 8 pages encourage unaccountable behavior by cabinet ministers and public officials because no one can find out where they have gone, what they have done, how much they have spent or how much taxpayers money they have given away. And if the government cannot stop the public from prying into government business with the Access to Information Act, they do it with exorbitant fees and lengthy delays. The taxpayers who pay to support the government also pay to find out what is going on the little that is not listed on the 8 pages. And then they wait and wait and may still be denied the information. Arrogant bureaucrats steeped in a culture of secrecy should not be allowed to lord it over ordinary Canadian taxpayers who want information about their government. Everything government does should be covered by the Access to Information Act except national security. All government bureaucracies and corporations should be open to the public. In particular, when it comes to issues of public safety, there should be no exemptions at all. Issues concerning public health such as the number of incoming immigrants with AIDS should be public knowledge. In the fall session of Parliament the Liberals are going to change t he Act. They are a disciplined party and have a large majority. Guess who will benefit? Access to information -- what could and should change. The Access to Information Act enacted by the Trudeau/Chretien government in 1983 has more places -- 8 pages -- listed where Canadians are denied access to information than places where Canadians are allowed information. In the double speak of these politically correct times; the Act is indeed a barricade between Canadians and their government in Ottawa. Therefore the details of squandering politicians and world-traveled bureaucrats is well hidden from public scrutiny. Canadians are banned from this information. The Liberals like to hide their secrets. Although Jean Chrtien claims to hold his ministers to the highest standards of integrity, he refuses to let Canadians see his code of cabinet ethics. Nor does he let the public in on the advice he receives from the ethics counselor Howard Wilson who reports solely and directly to him -- not to parliament. 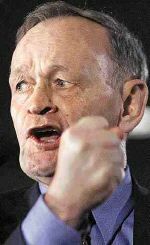 This is the same Chretien who said in 93, "Open government will be the watchword of the Liberal program." The Information Commissioner of Canada oversees adherence to the Access to Information Act. The Liberals want to keep their secrets so bad that they have launched 15 proceedings against John Reid, the Information Commissioner, over his request to see the old agenda books of the Prime Minister. One might wonder what could be so secret about Prime Minister Chretiens old agenda that the Liberals would go to such extremes to hide his old schedules. This is the same Liberal Government that is going to enforce new amendments to the Access to Information in the fall session of parliament. What do you think they have in mind? How should Canadians show their concern if all the media is known to have direct connections to the Liberal Party? Should Canadians, like Americans, have the process to impeach a prime minister if circumstances allow? Should Canadians be allowed binding referendums, like the Swiss, so that Canadians can have input to an isolated government in Ottawa? Dream on but keep the faith. When Canadian politicians mention sustainable development and they often mention it, they mean that the taxpayers should sustain their development programs. It is double speak for wall-to-wall socialism only a step away from communism. These politicians want to manipulate and control everything in Canada. They want a government program for everything. It also means that these tax-and-spend politicians should disregard the $600 billion national debt and the 63-cent dollar. It means more government programs. Sustainable development means that Canadians are going to pay more for useless government programs. I'm not sure if you noticed yet but if you are Canadian, you are completely shut out of the political decision-making process in Ottawa. Even if you voted Liberal and feel smug about the whole process; you are only a number and have absolutely no power or input. If your Liberal MP tries to represent you or says one word that is opposed to the Party line, he will be excommunicated. Ask John Nunziata who sat incommunicado in parliament for four years -- excommunicated by Chretien. 1. Canadians are among the highest taxed people in the industrialized world. 2. Your Canadian dollar, the loonie, has recently sunk to 63 cents US. 3. Your Canadian dollar has been on a steady slide -- one or two cents a year for the past twenty-five years. 4. Your national debt is $600 billion and your descendents down to your great great grandchildren will be straddled with this debt. 5. You pay for extremely expensive and absolutely unnecessary government projects such as bilingualism and multiculturalism. And you can't get rid of them. 6. You have a prime minister who defended the missing billion dollars at HRDC last fall. It's not easy to loose a billion dollars and it's still missing and no one knows where it went. But the Liberals brazened it out in parliament and therefore everything is okay. 7. You have a prime minister who admitted using his position to get a huge loan for a friend in Shawinigan and then denying any conflict of interest or calling an inquiry. But everything is okay because he did this during an election and still got reelected. 8. You have an Ethics Commissioner and an RCMP who saw no wrong in this. 9. You have the same RCMP who also built a road to the prime ministers private cottage. 10. You have no binding referendums so you cannot even influence those in Ottawa. 11. You cannot recall inept, corrupt, drunk or completely stupid members of parliament, so you are stuck with them for another five years and maybe for the rest of their lives. 12. If you live in Quebec you should feel proud because your province is on federal welfare through equalization payments -- $5.5 billion annually. What will happen to these equalization payments if Quebec votes to secede from Canada in a referendum? I realize that this is not likely to happen. I mean... who could give up those kinds of payments coming in? Let ROC pay for it. 13. Your elected representatives in Ottawa and their bureaucrats travel the world constantly but you are not allowed to know when or where they go or have gone. 14. As the spin masters in Ottawa say: Don't worry. We'll look after you. During the summer of 2001 the Liberal government refused to allow bureaucrats permission to talk to an all-party committee of MPs examining the Access to Information Act. These are the same civil servants who administer the Act. It is a graphic demonstration of how far the Canadian Liberals will go to maintain their secrets. It is also a demonstration of how naïve some Canadian MPs can be to think they might let some light into the inner secretive working of the Liberal administration. In the fall of 2001 the Liberals are going to increase government secrets. They are going to increase the 8 pages of secret places and areas and circumstances that are exempt from the Act. Would you believe they might come up with 20 pages? The meaningless Access to Information Act is going to be even more meaningless. The Liberals experienced almost a whole parliamentary period in 2000 with questions about the missing billion dollars at HRDC. These questions taught them that they need to block all access to government information. They never did admit to the location of the missing billion dollars. They just brazened it out with their disciplined majority in Parliament. Parliament was only open for 90 days in 2000 so it was a short wait. The Liberals want to keep their secrets so bad that they have launched at least 15 proceedings against John Reid, the Information Commissioner, over his request to see the agenda books of the Prime Minister. One might wonder what could be so secret about Prime Minister Chretiens agenda that the Liberals would go to such extremes to hide his old schedules. But before the Liberals change the Access to Information Act, they will be meeting in Edmonton this August 2001 just to show that they do sometimes leave Ottawa. They will all nod their heads in unison as they agree about the forthcoming changes. The Liberal spin doctors will not mention these forthcoming changes to the Access to Information Act. Keep the faith. The idea of democracy is not high in Canadian consciousness. In the year 2000 the Canadian Parliament only sat for 92 days. The TV cameras were not allowed to show the empty seats -- only those speaking and those in the immediate vicinity. The idea that a question should be answered in parliament does not fly. "It is question period," the Liberals say. "Not answer period!" Almost the whole of parliamentary time was spent in questions about the missing billion dollars at HRDC. But the Liberals, when they were not touring the world, just brazened and lied their way through with their majority. Eventually the prime minister called an election, as an obvious ploy to avoid an auditor general's report being presented in parliament. Then the prime minister admitted an obvious conflict of interest in his hometown of Shawinigan. Then it got worse. Canadians reelected the Liberals with an even bigger majority. And now just to make sure that these embarrassing questions are curtailed, the Liberals are working on improving the Access to Information Act. Questions cannot be asked if no one knows what questions to ask. Questions cannot be asked if Canadians have no access to their government. And anyway it doesn't matter because questions are seldom if ever answered in a truthful manner. There may eventually be a change in the Canadian government as the present leadership gradually dies off in about 20-30 years time. But other Liberals waiting in the wings will replace these Liberals. They too like the present Liberals will be committed to lobby groups, special interest groups, visible minorities, the immigration industry, prisoners' rights, pedophiles' rights, bilingualism, multiculturalism, illegal immigrants, refugees, UN policies and human rights -- never individual rights or property rights. In order to change this system of creeping socialist/communist dictatorship, Canadians need the following changes. Unfortunately provinces may separate from Canada but there is no way anything will change in Ottawa. So there! But still I can write about it even if nothing changes. Canadians need a constitutional conference somewhere far away from Ottawa immediately in order to discuss democratic changes in Canada because there is no way anything will change under the present setup. Canadians need to discuss: taxes, the value of the dollar, national debt, elections by date, election of senators, election of prime ministers, politicians' pay, politicians' secret travels, appointing friends to high places, binding referendums, recall of politicians, buying elections with taxpayers money, equalization payments to welfare provinces, forced bilingualism, forced multiculturalism, open borders, dollarization, relations with the UN, CIDA giveaways to foreign dictators, a real ethics commissioner, CBC and the Trudeau/Chretien flawed Charter which gives rights to "everyone" in the world and obligations to Canadians.Don't hold your breath for these changes.